I’ve worked my way through a lot of backpacks through the years. I’ve even tried four different Outdoor Research models (including two separate models of the DryComp Ridge Sack), in large part because I enjoy them so much. The newest one, however, has become my favorite. 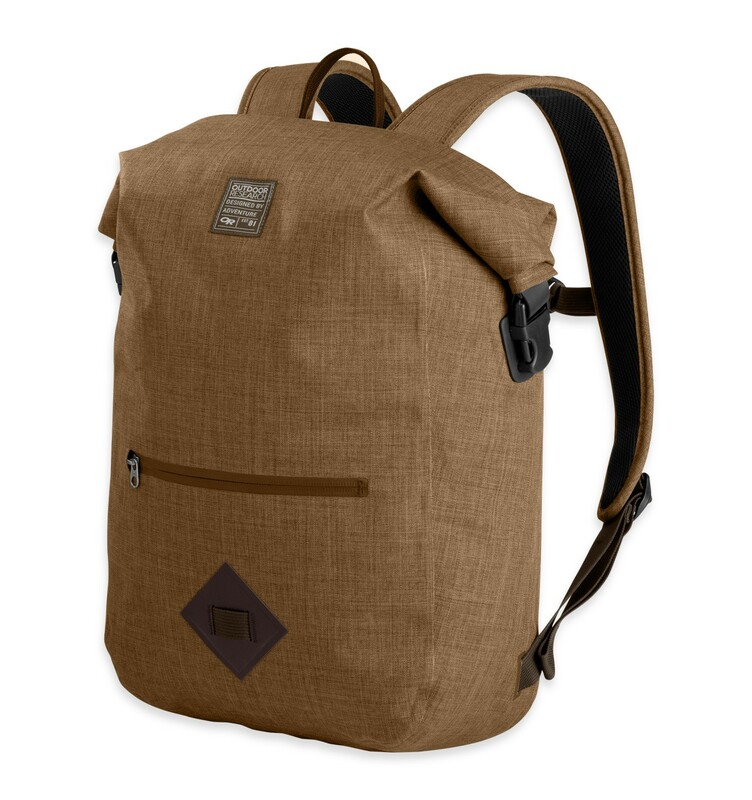 The Rangefinder Dry Backpack is far and away the coolest of the lot (they make a duffel, too), while still maintaining it’s excellent waterproofness. I use it on all occasions: for work (it looks pretty classy), play (because it’s waterproof and comfortable), travel (it’s a perfect carry-on), and more. A week hardly goes by that I don’t have a person pick up my bag and ask where it’s from. And I don’t mind, because the bag fits my lifestyle of being minimalistic and utilitarian. I love the heather finish and the monochrome brown coloration. There are only two compartments, however, which isn’t my favorite. There’s one small one with a waterproof zipper on the front and one big one with a roll-top waterproof closure at the top. Once you’re into the main compartment, there’s a padded computer sleeve with a velcro closure that keeps it secure as you’re traveling about. Otherwise, there’s just the one main compartment. The only other thing that makes the bag not perfect is that the back of it can get sweaty when I’m biking a lot. But regardless, this is a bag to hold onto for a long time. Here’s to Outdoor Research continuing to up the quality of their products.